DOL gets expedited hearing of appeal in overtime case, but will it be “expedited” enough? Speaking of college student “employees,” how about RAs? President-Elect Trump chooses Andrew F. Puzder for U.S. Secretary of Labor – “the times they are a changin’.” As we reported at the time, on December 8 President-Elect Trump announced that Andrew F. Puzder would be his nominee for Secretary of Labor. Mr. Puzder is Chief Executive Officer of CKE Restaurants, Inc., which operates the Carl’s Junior and Hardee’s fast food chains nationally. Democratic leadership in Congress has almost universally been critical of the choice. Mr. Puzder has expressed personal views (1) generally in favor of “legal immigration” and use of market forces instead of government regulation to deal with labor economics; and (2) generally critical of the current administration’s expansion of the overtime requirement, advocacy of large increases in the federal minimum wage (nonetheless, Mr. Puzder has expressed support for a $9 minimum wage, which is more than the current $7.25), and its attempt to expand the joint employer theory in order to deal with what the current leadership calls the “fissured” workplace. Mr. Puzder has said that less regulation of employers will result in more jobs, benefitting employees and the unemployed, as well as employers. Whether that prediction holds true, it does seem that employers can look forward to a less adversarial regulatory climate in the next four years. Persuader Rule is on life support. As we have previously reported,last summera federal judge in Lubbock, Texas, issued a preliminary injunction blocking enforcement of the DOL Persuader Rule, and the DOL appealed to the U.S. Court of Appeals for the Fifth Circuit. Then, on November 16, the same judge in Lubbock permanently enjoined the rule. Meanwhile, the DOL appeal of the preliminary injunction order is still pending, but for how much longer? Secretary Puzder, when confirmed, is not likely to support the Persuader Rule. Many observers of this regulatory fight view the rule as dead. Keep an eye out for its obituary. The Persuader Rule, which has been a favorite of the current administration and on organized labor’s wish list for years, would have required employers and their labor counsel and consultants to disclose in filings with the DOL expenditures and activities related to labor relations matters that, under longstanding administrative interpretation of the Labor-Management Reporting and Disclosure Act, previously would have been exempt from disclosure requirements. DOL gets expedited hearing of appeal in overtime case, but will it be “expedited” enough? As we have previously reported, on November 22a federal judge in Sherman, Texas,preliminarily enjoined the DOL’s new regulations on white-collar exemptions to the overtime requirement of Fair Labor Standards Act. The DOL appealed to the Fifth Circuit on December 1, the same day that the regulations were to have taken effect. Nonetheless, the current DOL filed its brief on December 15, in accordance with the expedited review schedule. In addition, the Texas AFL-CIO filed a motion to intervene, apparently making a judgment that the Trump Administration will not vigorously pursue the appeal. But the labor group’s effort may be futile if the new DOL leadership drops the appeal, as is likely. Are student athletes “employees”? The litigation and debate continue, despite big win for colleges and NCAA. The National Collegiate Athletic Association and the University of Pennsylvania prevailed before a panel of the U.S. Court of Appeals for the Seventh Circuit in Berger v. NCAA. The plaintiffs, former track and field athletes for Penn without scholarship grants-in-aid (Penn is a member of the Ivy League, which participates in NCAA Division I but gives no sports scholarships), claimed that they were owed the minimum wage under the FLSA. In March, a federal judge in Indiana dismissed their claims. On appeal, a three-judge panel of the Seventh Circuit agreed that the student athletes were not “employees” of Penn. 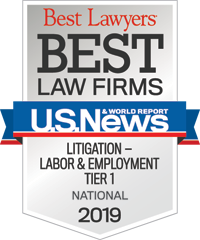 As to the NCAA and 120 Division I universities and colleges named as co-defendants in the lawsuit, the court held that they had no relationship with the plaintiffs that would give the plaintiffs “standing” to assert an FLSA claim against them. But the plaintiffs haven’t given up. On December 15, their attorney told Bloomberg BNA that they would ask for the case to be reheard by all of the judges on the Seventh Circuit. Will they eke out an overtime victory? Politics at the Democratic National Convention – AFL-CIO backs Rep. Keith Ellison, but Perez puts hat in ring. Following the November elections in which they were disappointed at many levels, the Democrats are selecting new leadership for the Democratic National Committee. Rep. Keith Ellison (D-Minn.) promptly put himself in the running and is rounding up endorsements, including one from the AFL-CIO. According to AFL-CIO President Richard Trumka, “Under [Ellison]’s leadership, the Democratic Party will embody the values that our members stand for every day.” The endorsement came one week after Mr. Trumka took a straw poll of union leaders in which the options given were fairly narrow: to support Rep. Ellison, to abstain, or to make no endorsement at this time. The AFL-CIO endorsement may have shut the doors on Labor Secretary Thomas Perez, who aggressively supported organized labor’s agenda at the DOL but who waited to state his intent to seek the position until December 15, after the AFL-CIO endorsement of Rep. Ellison. Secretary Perez has support from his home state party in Maryland, and Mr. Trumka has called him a “strong” candidate, but whether his candidacy draws interest remains to be seen. Two other candidates for the position are state party officials in South Carolina and New Hampshire. Regardless of who becomes the DNC chair in March 2017, expect the Democratic leadership to pursue an agenda that favors organized labor. Employer’s $7.8 million defamation win drives SEIU Local to file for bankruptcy. SEIU-Texas (formerly known as SEIU Local 5) may have pushed its anti-employer corporate campaign too far in 2007, when it alleged publicly that a non-union Texas janitorial contractor systematically failed to pay its employees for all hours worked and instructed janitors to work off the clock. The employer, Professional Janitorial Servicing of Houston, Inc., sued the union in state court for defamation, and in September 2016 won a jury verdict of $5.3 million in lost profits and $2.5 million in pre-judgment interest. With declared assets of just over $1 million, the SEIU Local filed for bankruptcy on December 3, asserting that it has $10 million in liabilities and that bankruptcy will allow it to remain in operation while it appeals the verdict. The Local asserts that the verdict should be reversed because its communications, made in its effort to organize workers, were protected under federal labor law and the First Amendment to the U.S. Constitution. Meanwhile, the employer is seeking to force the SEIU International union to pay the award, asserting essentially that the International controls the Local to such an extent that the unions are a “single enterprise” subject to the verdict. Employers having dealings with the SEIU or other unions mounting corporate campaigns may want to stay tuned for the outcome of this case. False claims by union organizers in corporate campaigns are not unusual. What may have made this case different were the union’s false claims that the employer was violating the law and the fact that the employer went on the offensive. For retail workers, a virtual union. An attorney in Miami has created an app for organizing workers, avoiding the traditional “brick and mortar” labor union altogether. The www.unionizeme.org app purports to be an “online” labor union targeting clusters of workers at well-known retailers. Employees can use the app to sign authorization cards for “unionize.me” to represent them and to spread the word to other employees, outside the view of employers. The app follows on the heels of traditional labor unions using online resources and social media to conduct organizing campaigns and to get authorization cards from workers. It remains to be seen whether the app will be a viable alternative to the organization path typically taken by workers, but it might have some traction in retail settings, which – in contrast to manufacturing or distribution facilities – typically have small numbers of employees at numerous far-flung locations. Based on the recent press reports, the union app has not yet filed a petition with the NLRB on behalf of any employees. 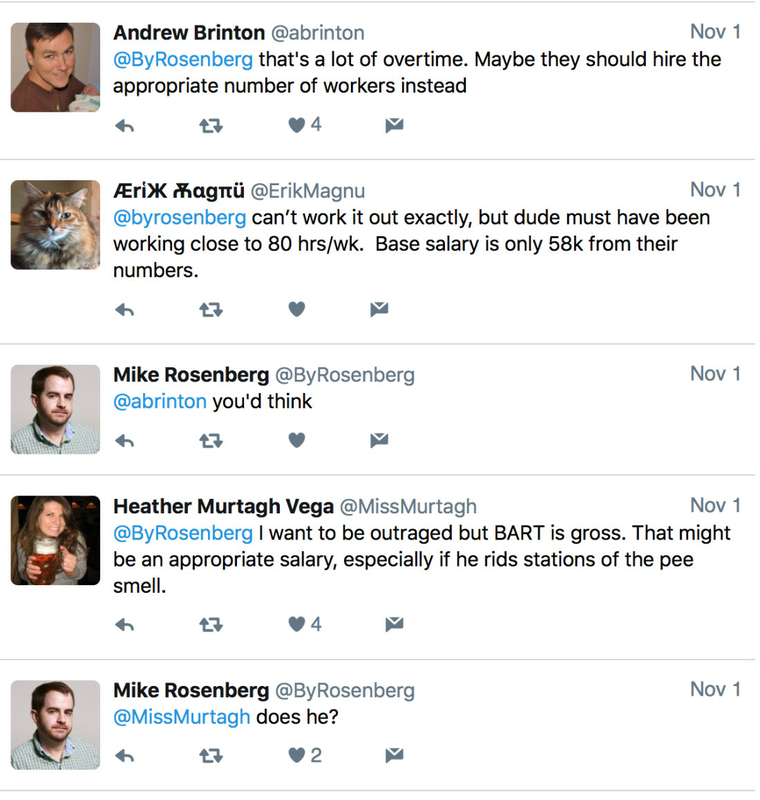 Nice work if you can get it – BART janitor gets $162K in overtime in one year.The cash-strapped Bay Area Rapid Transit District, a regional commuter rail agency in the San Francisco Bay Area, created a social media storm in early November, when internet sleuths found and reported on public records showing one janitor making $270,000 in pay and benefits in 2015.